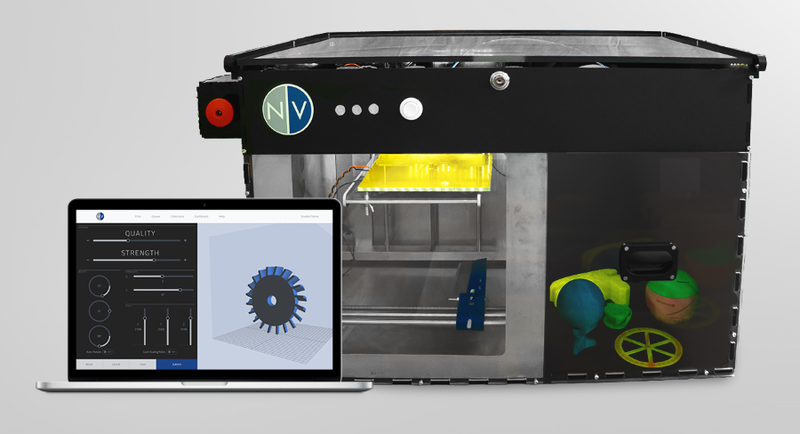 NVbots, a Boston startup, just launched a crowdfunding campaign to fund their new 3D Printer. 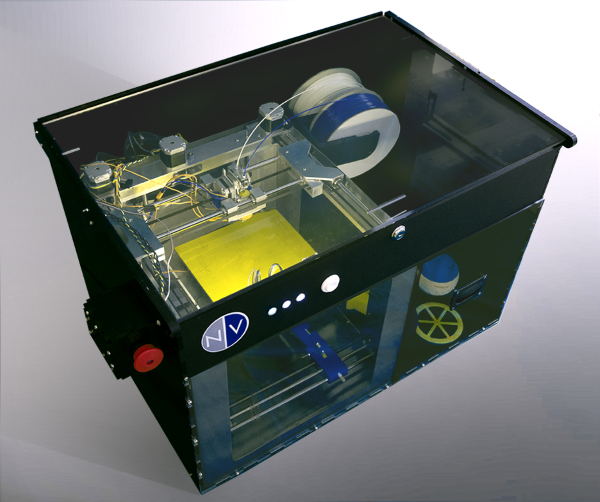 The company has already raised “$850,000 from angel investors (who aren’t being disclosed) and is looking to close the round at $1 million via Fundable.”1 These are no ordinary 3D printers, however. Upload your own file or choose some from our library of printable content, use our 3D print preview tool, then add it to the queue. — simple as that that! Our patent-pending robotic arm removes items from the printer as they finish printing, so you can queue up projects from multiple users and print them one after another.